Al Bader Calibration Center has Successfully Completed ISO 17025 Accreditation Audit from US accreditation body with Help of Global Manager Group. Al Bader Calibration Center (Formerly known as Calibration division of Doha Technical Laboratories) is only laboratory in the Qatar, which is engaged in calibration of gauges for Density and moisture standard related parameter. The same facility was accredited under for limited scope of density gauge in old name for ISO/IEC 17025:2005 on January 2012. Considering the need of calibration in the Qatar, the laboratory has given accreditation project to Global Manager Group for setting-up fully fledged calibration laboratory to fulfill the needs of the customers. GMG has exercised on all aspects of the calibration and accepted the challenge to make laboratory operational along-with the accreditation to ISO/IEC 17025:2005 for all the discipline of the calibration within a span of 9 month. Al Bader Calibration Center has successfully completed ISO 17025 accreditation audit from US accreditation body with help of Global Manager Group. Today laboratory had been recommended for the ISO/IEC 17025 accreditation in majority of the disciplines of calibration such as Density and standard, Mechanical, Pressure, Mass, Volume, Force, Acoustic, RPM, Thermal, Time, Chemical, Electrometric etc. With this ISO 17025 accreditation, Al Bader Calibration Center becomes the first laboratory in Qatar having facility for calibration of all types of equipments and specialized equipments like PH meter, conductivity meter, sieves. Identification of area for the calibration standard room and designing of the standard room considering the accommodation and environment condition as per the requirements of calibration. Preparation of disciplines and types of instruments to be covered under the scope of accreditation. Selection of master equipments (Reference standards) for calibration of the equipments covered for calibration and field of calibration. Identification of suppliers of reference standards, collection of quotes, quotation comparison of best source of reference standards. Issuing purchase orders for the reference standards in consultation with the Laboratory. Selection of calibration agency for reference standards and calibration of reference standards having better CMC. Receipt and arrangement of reference standards in the laboratory at the identified locations. Exhaustive training on calibration to each employee as per the relevant standards of calibration. 10 day training at India for practical training and demonstration of each calibration under supervision at ISO/IEC 17025 accredited calibration laboratory, to develop the skill in the calibration to the laboratory employees. 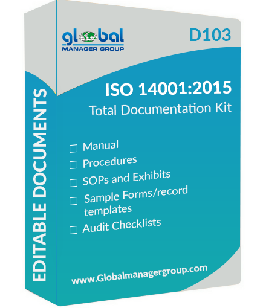 Preparation of documents of ISO/IEC 17025 like, iso 17025 manual, Quality Procedures Standard Operation Procedures, Calibration Methods, Work Sheet, Test repost etc. Providing detail technical documents like calibration observation report, calibration certificate, measurement uncertainty software, providing calibration methods etc. Training to all level of employees with active participation. Conducting internal audit for checklist competence of the laboratory after implementation.